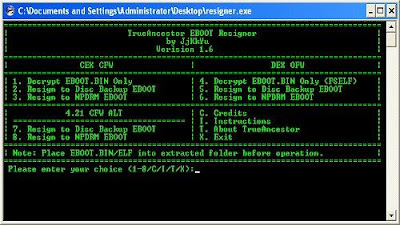 Today developer JjKkYu has released an updated version of his PC Tool TrueAncestor EBOOT Resigner. Check out the minor changelog and the download link below. - Add alternative option for 4.21 CFW. - Hide scetool screen feedback. Guys, enjoy Rogero 4.21 v2 with alt options.